Glamour isn't just about having the right handbag--it's about having the right personality too and many of the world's most adorable women have been gorgeous inside as well as out. A glamorous woman has a magnetism few men can resist, yet all of us can attain it--even those without classically natural beauty. Many beautiful women lack glamour and conversely some of the most unusual looking women have glamour by the bucket load. 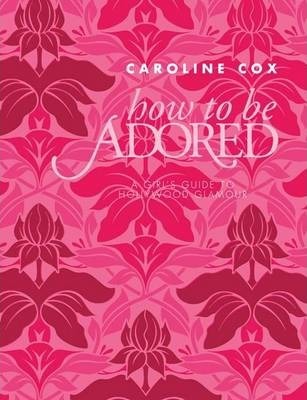 "How to be Adored" is a style guide with a difference, featuring secrets and advice from a roll call of history's most seductive women, including Marlene Dietrich, Marilyn Monroe, Audrey Hepburn, Jackie O, Debbie Harry, Sophia Loren, Gwyneth Paltrow, Princess Diana, Kate Moss, Gwen Stefani and Carla Bruni. In their own words they reveal how to achieve glamour and how to be adored by all you encounter. Professor of Fashion, Caroline Cox, fills every page with witty observations and entertaining anecdotes.